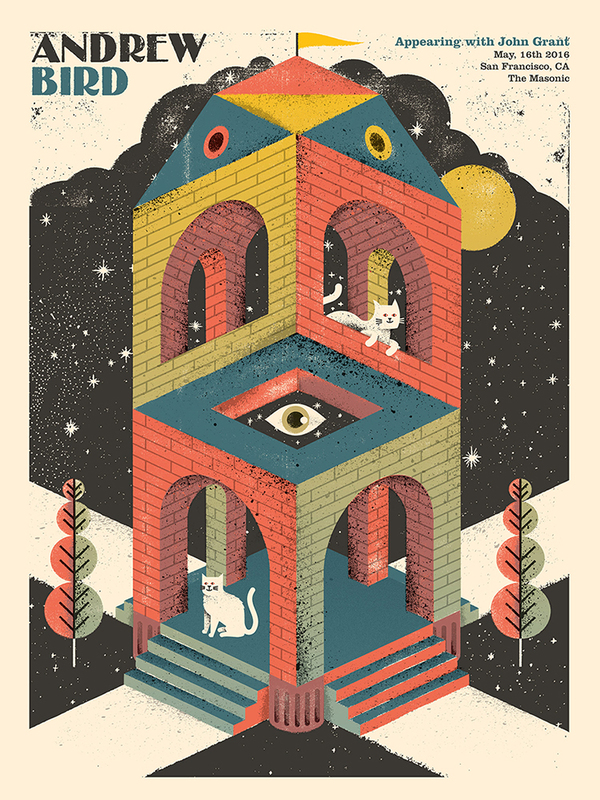 Nebraska’s Doe Eyed has a new poster for Andrew Bird up for sale. It’s an 18″ x 24″ screenprint, has an edition of 125, and costs $25. There is also an art print version with an edition of 50. Visit Doe-Eyed.com.